Victoria has become the first state in Australia to legalise the use of medicinal cannabis. Children with severe epilepsy will be the first to access to the drug in 2017, Victoria's Health Minister Jill Hennessy said, after the Access to Medicinal Cannabis Bill passed Parliament. The legislation enables the manufacture, supply and access to medicinal cannabis products in the state. "We're starting with these children with severe epilepsy, whose lives have been shown to improve so significantly, because we know these children often don't make it until adulthood," Ms Hennessy said. "I just think that in this day and age, it's unfair and unacceptable to ask a parent to make a decision between obeying the law and acting in the best interests of their child," she said. Ms Hennessy has said access to the drug — available in a variety of forms, including tinctures, oils, capsules, sprays and vaporisable liquids — would be rolled out gradually and eventually be made available to palliative care and those with HIV. ABC News of 12 April 2016. Since this ruling was expected the Federal Government on 7 January 2016 presented a detailed draft for a law, which would set up a state cannabis agency to regulate the cultivation and distribution of cannabis to pharmacies. More patients would be given regulated access to the drug on prescription and paid for by their health insurance under measures outlined in the draft bill. Through obligating the Health insurances to reimburse the costs of a treatment the government wants to avoid that patients have to grow cannabis on their own and have to be allowed to do so. It is expected that the Federal Government will now increase the speed of passing the bill to avoid implementation of the ruling. Press release by the Federal Administrative Court of 6 April 2016. Pennsylvania will likely become the 24th U.S. state to legalize cannabis use for medical purposes after state legislators on 13 April approved a bill that Governor Tom Wolf has promised to sign. The bill will allow the use of cannabis oil and extracts, while still prohibiting the smoking of the drug, to treat or alleviate the symptoms of a long list of ailments including autism, epileptic seizures and nausea brought on by chemotherapy. The bill, which passed by a 149-46 vote in the state House of Representatives, sets up an infrastructure for growing, distributing, regulating and taxing medical cannabis. "Marijuana is medicine and it's coming to Pennsylvania," state Senator Daylin Leach, a Democrat from Philadelphia said following the vote. "Children with intractable epilepsy, veterans with PTSD, grandparents with cancer, and thousands of other sick Pennsylvanians will finally get the help they need." Reuters of 14 April 2016. Cannabis use was associated with a reduced in-hospital mortality after myocardial infarction. This is the result of a study by researchers of the University of Colorado in Aurora, USA, which compared 3854 patients, who used cannabis, with 1,273,897 patients without cannabis use. They analysed hospital records for 8 states on acute myocardial infarction (AMI). 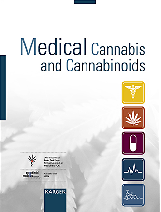 Clinical profiles and outcomes in patients with reported use of cannabis were compared to patients where cannabis use was not reported. Patients, who were older than 70 years, and those, who used cocaine, methamphetamine or alcohol were excluded. Johnson-Sasso CP, Kao D, Walker LA. Marijuana use and short-term outcomes in patients hospitalized for acute myocardial infarction. J Am Coll Cardiol 2016;67(13_S):569-569. The National Cancer Institute made detailed information on cannabis and cannabinoids freely available for patients and health professionals. Cannabis and Cannabinoids (Physician Data Query): Patient Version. 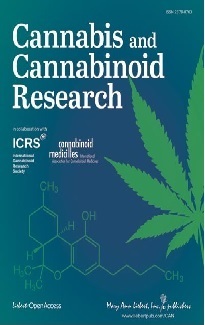 Cannabis and Cannabinoids (PDQ): Health Professional Version. Daegu University, Kyungsan, Republic of Korea. Parray HA, et al. Mol Cell Biochem. 2016 Apr 11. [in press]. The German company Storz & Bickel announced approval of the Mighty Medic, the first approved portable cannabis inhaler. It is suitable for the inhalative application of cannabinoids from dried cannabis flowers for use at home or in a hospital. In 2010 Storz & Bickel launched the world’s first officially approved medical cannabinoid inhaler, the Volcano Medic Vaporizer. According to a study with 955 patients, who were infected both with HIV and the hepatitis C virus (HCV) cannabis use had no negative effect on CD4 T-cells counts and percentages. Marcellin F, et al. Drug Alcohol Rev. 2016 Apr 13. [in press]. The manufacturer of the CBD extract Epidiolex, GW Pharmaceuticals, announced to start a clinical study with their medication for the treatment of tuberous sclerosis in the USA. This is a rare genetic disorder, the most common symptom of which is epilepsy. Press release by GW Pharmaceuticals of 11 April 2016. European Union citizens spend some 24 billion EURos (about 27 billion US dollars) on illicit drugs every year, a report by EURopol and the EURopean Union drugs monitoring centre EMCDDA said on 5 April, making it one of the continent's most profitable activities for organized crime groups. Reuters of 5 April 2016. Corbus Pharmaceuticals announced that the U.S. authorities (FDA) have granted approval for a 12-month open-label extension study of the ongoing Phase 2 clinical trial of Resunab, a selective agonist of the CB2 receptor for the treatment of diffuse cutaneous systemic sclerosis (“scleroderma”). Press release by Corbus Pharmaceuticals of 12 April 2016. In a study with 41 young adults, who used cannabis, greater past-year cannabis use was associated with poorer sleep quality. Department of Psychology, University of Wisconsin-Milwaukee, USA. Maple KE, et al. Am J Drug Alcohol Abuse. 2016 Apr 13:1-10. [in press]. The retina is a light-sensitive layer of tissue in the eye. New research with monkeys shows that both the CB1 and the CB2 receptor play an important role in the function of the retina. Bouskila J, et al. Neural Plast 2016;2016:1253245. In an analysis of 14,326 new-borns in 2010 cannabis use was associated with an increased risk for preterm birth, which is birth less than 3 weeks before the normal date of birth. Prunet C, et al. J Gynecol Obstet Biol Reprod (Paris). 2016 Apr 5. [in press]. In genetically modified mice, the so-called LRRK2 mice, which serve as an animal model of Parkinson’s disease the activation of the CB2 receptor partially reversed deficits in their behaviour. A study with 328 African American women showed that active cannabis users were less likely to be overweight and obese compared to their counterparts. Johns Hopkins Bloomberg School of Public Health, Baltimore, USA. Inhibition of the degradation of endocannabinoids by inhibition of the enzymes FAAH (fatty acid amide hydrolase) and MAGL (Monoacylglycerol lipase), which are responsible for the degradation of endocannabinoids reduced nausea in two rat models of anticipatory nausea. This form of nausea occurs before cancer chemotherapy due to fear of chemotherapy.